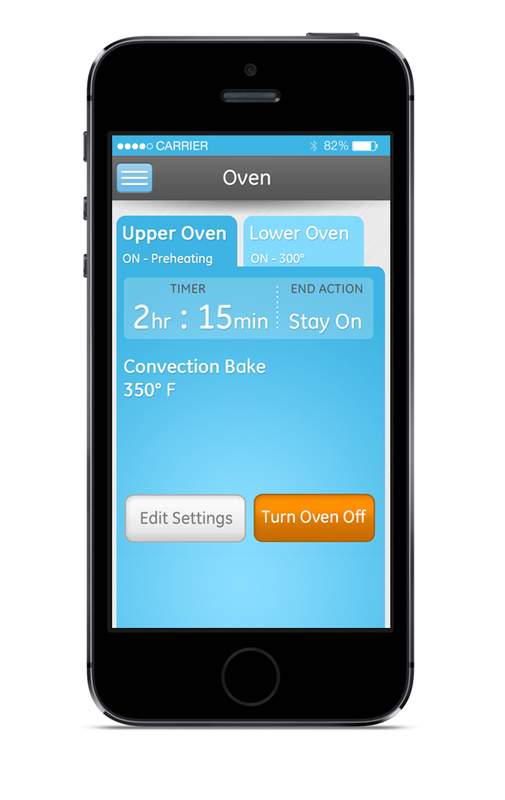 LOUISVILLE, Ky. — Jan. 6, 2014 — (NYSE:GE) — Whether facing a longer-than-expected “quick trip to the bank” or plagued with the question “Did I leave the oven on?” from outside the home, owners of GE Profile™ wall ovens can take control of their appliance using an app on their mobile phone1. 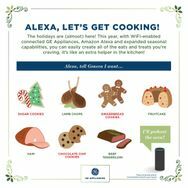 A new update makes it possible for consumers to preheat, set the timer, check cooking status, receive timely notifications and more from outside the home. 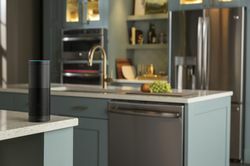 Beyond greater control from remote locations, this is the first time consumers can upgrade their GE appliance with new features and capabilities after it’s installed. With this new feature, GE gives consumers flexibility to take advantage of advanced features via their smartphones. 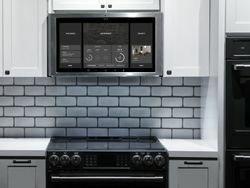 GE’s new mobile app upgrade allows consumers to now control their connected wall oven from outside their home wireless network. 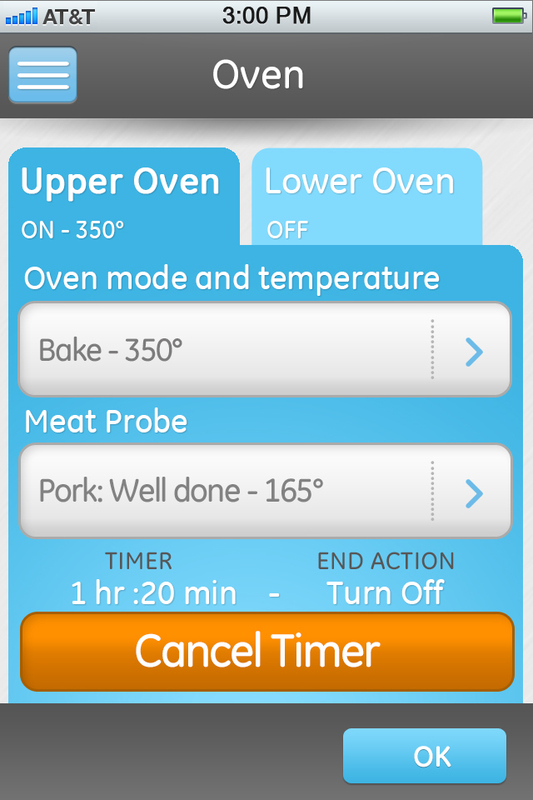 To use the connected technology, owners of new GE Profile wall ovens (models PT9550, PK7500, PT9050 and PK7000) just need to download the GE Brillion™ mobile app and enable remote control. Thanks to the ability to preheat2 the oven from the grocery store or before leaving work, dinner is on the table faster. 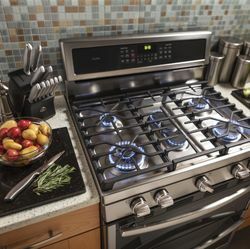 Additional updates to other new appliance categories are expected throughout 2014. GE’s remote-enabled wall ovens are assembled in LaFayette, Ga., and retail for an MSRP of $2,299 - $3,7993. 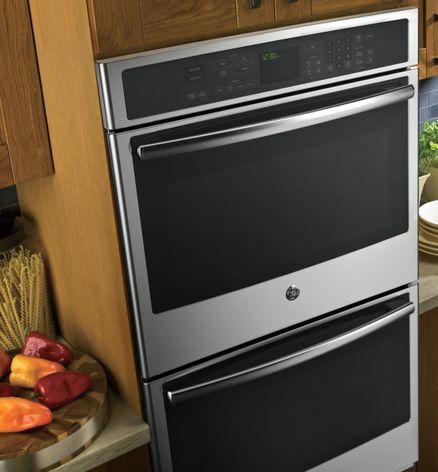 Models are available in black, white and stainless finishes, and single- and double-oven configurations in both 30 and 27 inches. 1. Requires the GE Brillion™ iPhone® or Android™ app for smartphones or tablets. Available for free from iTunes® and the Google Play Store. iPhone and iTunes are registered trademarks of Apple Inc. © 2012 Google Inc. All rights reserved. Android is a trademark of Google Inc.
2. Takes up to 10 ½ minutes (average 9 minutes, single cavity, convection, hidden bake) to preheat to 350 degrees. 3. Retailers set their own prices. To use the connected technology, owners of new GE Profile™ wall ovens just need to download the GE Brillion™ mobile app and enable remote control. GE’s mobile app upgrade allows consumers to control their new GE Profile™ wall ovens from outside their home wireless network.